The Rotary District 7620 Project Trust Fund has produced a 56-minute long, broadcast-ready documentary about the Rotary leaders who had the courage and vision to believe that Rotary could eradicate the wild-polio virus from the entire world. The film is meant to educate, motivate, and inspire Rotarians to continue supporting Rotary’s polio eradication efforts. We are selling the documentary as a fundraiser with all net proceeds being contributed to the Rotary Foundation’s Polio Plus campaign. The film’s objective is to tell the story of the men and women who dared to dream such an impossible goal back in 1979. Were they visionaries who fully understood the task they were undertaking, or were they fools that simply didn’t understand the enormity of tackling a goal that was just too far out of reach? What can we learn from the Rotary leaders who accepted this challenge? What do they think of their own contribution, and the contribution of an enormous multi-organizational team, including the WHO, CDC, UNICEF, and the Bill and Melinda Gates Foundation, now that the goal is about to be achieved? Telling the story of these unknown and heroic community servants is crucial to everyone’s understanding of why the world is about to be a much healthier place. It is also an inspiration to all to have a true, larger than life example of how a small group of visionaries can inspire others and literally change the world. “Founding Fathers:” We are fortunate that three of the Rotary leaders who were instrumental in leading Rotary towards polio eradication in the late 1970’s are still alive and were willing to participate in our project. Sir Clem Renouf, RI President 1978-79, Cliff Dochterman, RI President 1992-93, and Dr. John Sever, Chief of the Infectious Disease Branch, Institute of Neurological Disease, NIH and District Governor of Rotary District 7620 1978-79. Rotary Leaders: Mike McGovern, Chair of Rotary’s International Polio Plus Committee (IPPC), and Bob Scott, Former Chair of the Rotary Foundation and long-time Chair of the IPPC. Public Health Experts: Dr. Rafe Henderson, Director of the Expanded Program of Immunization for the WHO, and Dr. Stephen Cochi, Senior Advisor to the Director of Centers for Disease Control. 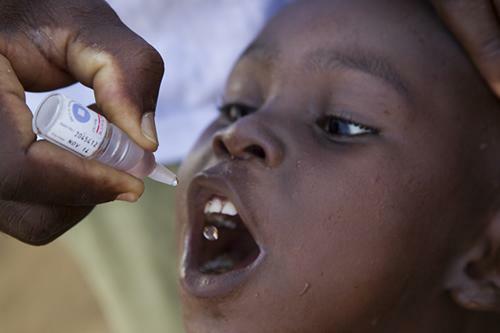 Rotarians have been supporting polio eradication since the goal was officially announced in 1985. Thirty-three years later many Rotarians are unfamiliar with the story of how Rotary became engaged in disease eradication. Rotarians and non-Rotarians alike don’t appreciate the differences in public health policy regarding how to achieve disease eradication. And lastly, many Rotarians are weary of raising money for this seemingly unachievable goal. Now that the end is in sight, and polio is on the verge of becoming the second wild virus in the history of the world to be eradicated (small pox was the first), it is imperative that Rotarians understand the enormity of the achievement that is within reach, and continue to support polio eradication for the three years needed after the last case of wild polio virus is reported for the disease to be officially certified as eradicated. Dare to Dream is meant to educate, motivate, and entertain Rotarians and non-Rotarians alike, to continue to support Rotary’s Polio Plus campaign. In 2014 Rotary District Governor Elect, Ken Solow, realized that Dr. John Sever, a legend in his Rotary District 7620, was virtually unknown among Rotarians around the world for his contribution to polio eradication. He approached Dave and Ilana Bittner, the owners of the award winning production company, Pixel Workshop, about producing a short-tribute film about Dr. Sever. Those initial conversations resulted in researching, writing, and producing the film, Dare to Dream, How Rotary Became the Heart and Soul of Polio Eradication. Based on the book, “Rotary and the Gift of a Polio-Free World,” by Sarah Gibbard Cook, the film tells the “inside” and little known story about the Rotary leaders who put Rotary on the path to polio eradication and the public health controversies that had to be resolved in order for polio to become a world health priority.